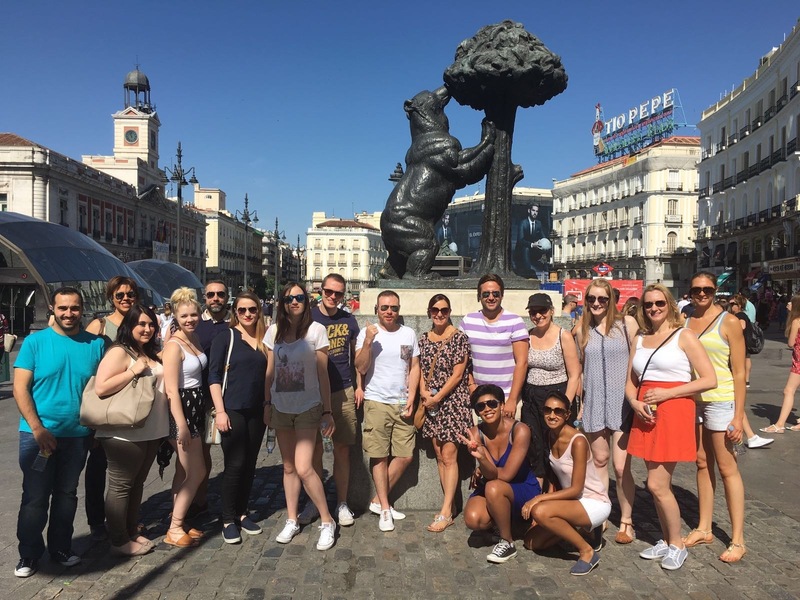 In June, I went on a Familiarisation trip to Madrid with Melia Hotels, Pacific World and Air Europa which was to visit some of their hotels based here and showcase the different types of activities that the Destination Management company Pacific World could offer. 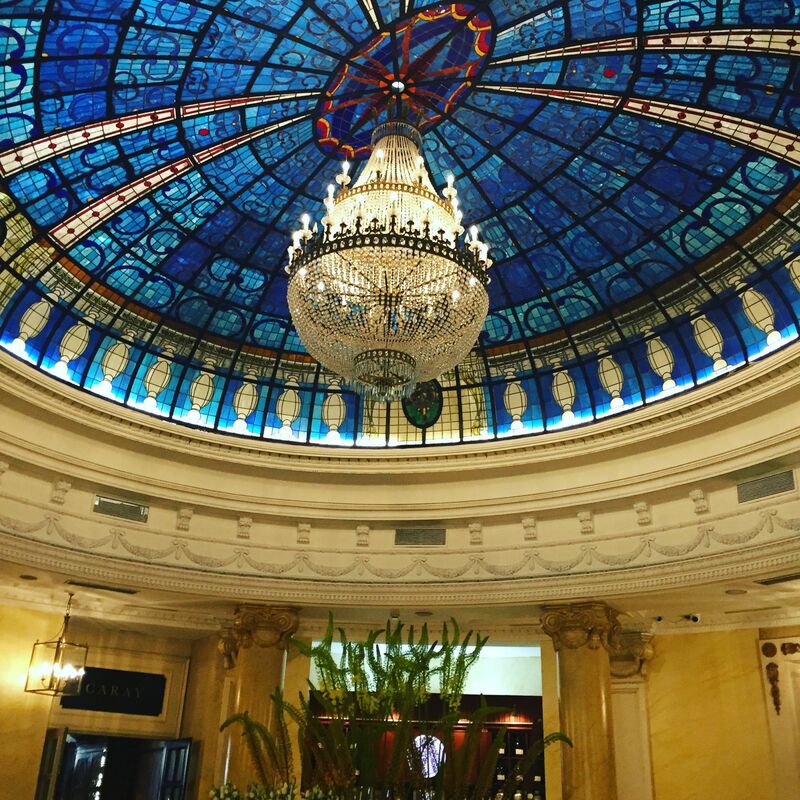 During the course of the trip we visited six of the hotels in their portfolio for site inspections and hospitality which included the Melia Avenida America, Melia Castilla, Gran Melia Fenix, Gran Melia Palacio de los Duques, ME Madrid and the Melia Barajas. The trip started with a buffet style lunch at the Melia Avenida America followed by a look around the hotel before we made our way to the hotel we were staying at for the trip – The Melia Castilla. We were staying in their executive rooms so once checked in we had a welcome reception in the Level lounge and a site visit of the hotel finishing with refreshments by the pool before having some free time to freshen up and change for our evening meal at La Mar Restaurant in Plaza Mayor. For the evening meal, we sat on a long table outside the restaurant overlooking the plaza Mayor square and the Palacio Royal Madrid and enjoyed a set menu of traditional Spanish appetizers and chicken Paella with Spanish wines. The next day we had a guided site seeing tour of the city visiting the city’s landmarks and learning about its history and the Madrilenian way of life followed by site visits of the Gran Melia Palacio de los Duques and the Gran Melia Fenix with its beautiful glass mosaic domed ceiling in the lobby. We had a lovely tapas style lunch here with lobster with Mango dressing, Spanish flatbreads and appetizers, a beef main course and dessert – again with lots of Spanish wine to wash It all down! The evening dinner was held at the modern, cosmopolitan ME Madrid hotel, after a look around the venue we were taken up to the roof top bar where we had cocktails, drinks and dinner in our own private area. From the rooftop, you have panoramic views of the city and its lovely to watch the sunset from here with the music being played in the background by their resident DJ! The rest of the evening was free time so we all went on to a local bar and had fish bowl gin and tonics before moving onto to have a bit of a dance in a nearby club. The last day of the trip was spent at the Melia Barajas where we had a site inspection of the hotel and its facilities and enjoyed a tapas style lunch outside in the sun on the lawns by the pool before getting transfers back to the airport for the flight home.